SOLIDWORKS, like most any other 3D software, has specifics needs when it comes to which machine can run it. For most workstation laptops, we look out for things like display options, RAM, processor type, and, most importantly, graphics card type. There’s a lot to say about what makes a graphics card tick, but for a quick explanation, NCIX Tech Tips has a pretty informational video about the basics. As a graphics card brand, NVIDIA has been the industry standard for many years now. 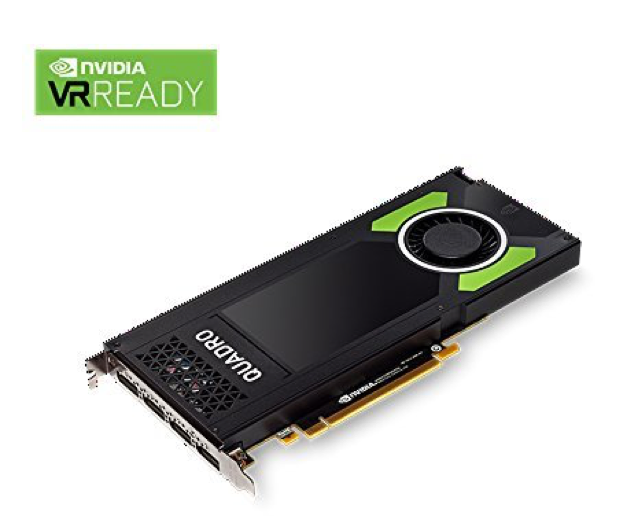 A big majority of most professional design work is being done on machines that run on Quadro professional graphics for their Solidworks graphics card needs.The site has the following recommendations when it comes to which type of graphics cards to use for Solidworks. For Solidworks, you’ll need to figure out how big your projects are going to be when you start using the software. Additionally, you have to consider if you’re going to be using a desktop workstation or a mobile one. If the vast majority of your projects deal with small to medium assemblies with relatively simple elements, you’re going to want to opt for a Quadro P2000 with 5 GB GDDR5 GPU memory for a desktop setup and a Quandro P2000 with 4 GB GDDR5 GPU memory. For either larger projects with simple parts or smaller scale projects with more complex parts, opt for a Quadro P4000 with 8 GB GDDR5 memory for desktops and a Quadro P4200 with 8 GB GDDR5 memory. And finally, for larger projects with complex parts, you’re going to want to have some amount of GPU-accelerated rendering capabilities. For these types of projects, go for a Quadro P5000 with 16 GB GDDR5X GPU memory for desktop machines and a Quadro P5200 with 16 GB GDDR5 for mobile workstations. For those of us wanting to create client-ready images from our Solidworks files, there’s Solidworks Visualize. The program allows you to leverage 3D CAD data from Solidworks to create exported content that can be displayed or shown to clients. The output can range from photorealistic images and animations to interactive content for websites. This program has its own recommended graphics cards from NVIDIA. The project parameters that need to be considered for Solidworks Visualize are a bit different from Solidworks. In this case, for you to find the right graphics card, you have to consider the types of images you want to produce. For CAD modelers who want to bust out photorealistic images in quick succession to communicate design intent and direction, a Quandro P4000 with 8 GB GDDR5 GPU memory would be sufficient for desktop machines and a Quadro P4200 with 8 GB GDDR5 would work well for mobile workstations. For creative designers that like to tweak and fine-tune the look of materials in their photorealistic images, a multi-GPU setup will work with two Quadro P4000 both with 8 GB GDDR5 memory for desktops and a Quadro P5200 with 16 GB GDDR5 GPU memory for mobile workstations. Lastly, for professionally rendered production-quality images, you can go all out with a Quadro GP100 or GV100 with 16 GB HBM2 or 32 GB HBM2 respectively for desktop setups. For mobile setups, go for a Quadro P5200 with 16 GB GDDR5 memory. The Quadro P2000 falls in between the P1000 and P4000 GPUs when it comes to sheer power. At an affordable price range, most can say that this model is the perfect balance of affordability and performance. 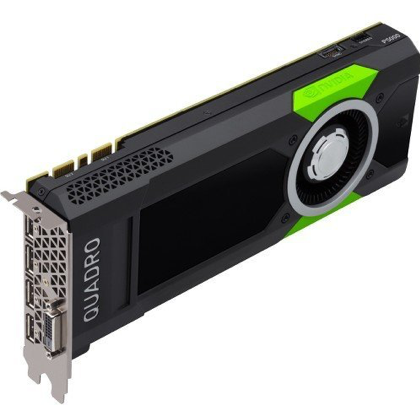 The Quadro P2000 works as a good Solidworks graphics card because although its size isn’t as small as most other Quadro models, it’s still smaller than most other cards with the same specifications. This works extremely well for mobile workstations. The NVIDIA P1000 is on the more affordable end of NVIDIA’s Quadro line. 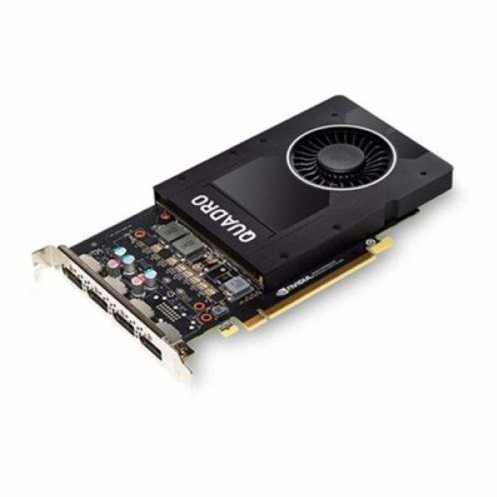 This entry-level card is especially designed for those who are looking for a more affordable Solidworks graphics card that still has a decent enough performance output. Being on the lower end of the graphics card spectrum, the P1000 won’t be able to handle the heavier applications the way the higher end of the spectrum can, but if you’re not looking for that kind of power anyway, the P1000 is more than capable of handling most uses. 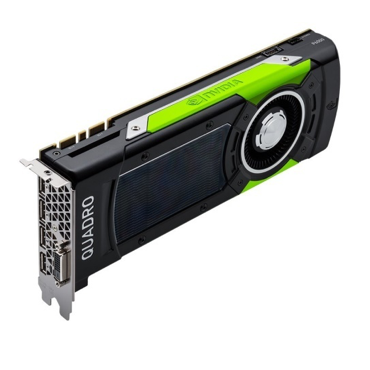 The P5000 is one of the higher end models in the Quadro line of graphic cards. It has a lot more CUDA cores built into it and larger frame buffers; this lets it perform much better when handling large computations and date sets. 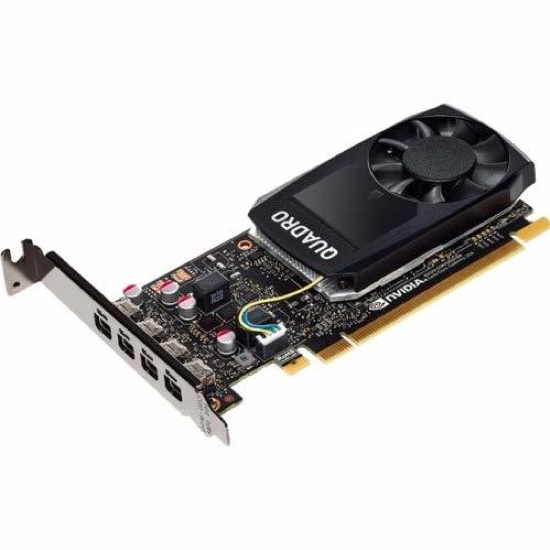 This is perfect for more complex modeling works in Solidworks projects and makes the P5000 one of the best Solidworks graphic card options out there. Compare to the models right below it in the line of Quadro products, the P5000 shows a significant leap in performance and quality. You can see it in the number of cores it has, the amount of memory, and the sheer number of displays it can handle at a time. That said, this performance-driven P5000 is priced at $1,900; aimed at professionals and organizations that have a specific set of demanding needs. However, if you find yourself in this category, the P5000 is certainly worth your while as the performance gains are clearly there with the applications tested.